Manchester City returned to the top of the Premier League after thrashing Everton 2-0 in midweek but could find themselves down in second by the time they host Chelsea on Sunday. Chelsea are the only side to ever complete a league double over a Pep Guardiola side in the same campaign, achieving it during their title contest in 2016/17. They could repeat history with a win on Sunday after inflicting City with their first league defeat of the season back in December. Maurizio Sarri will hope Chelsea are over their rocky patch after thrashing Huddersfield 5-0 last time out, in which January signing Gonzalo Higuain opened his account with two goals. 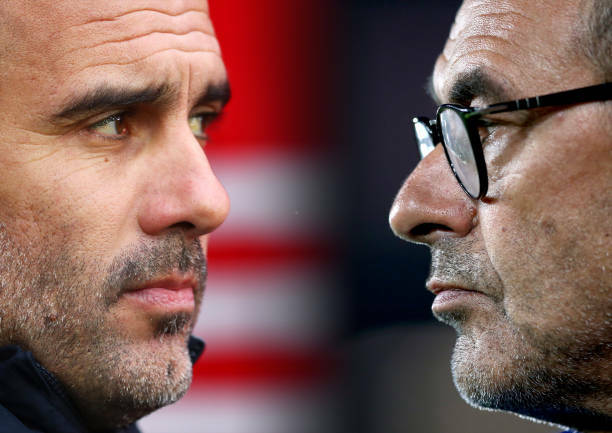 While all of the attention will be on how City perform, there is also a lot riding on this match for Chelsea, as defeat could see them drop out of the top four.